Get your hot cakes in Seattle! Hot Cakes is the kind of sweet shop so simultaneously delicious and adorable that you won’t ever want to leave. Located in Seattle’s unique Ballard neighborhood, the bakery stays open from lunchtime until late night to offer everything you need for your sugar fix. From serious desserts, like the namesake hot cakes and the jam-topped crème brûlée, to decadent beverages like the homemade butterbeer and boozy scotch & whiskey milkshakes, Hot Cakes has you covered. The best part? Hot Cakes gluten-free options are out of this world! The Dark Decadence, made with plenty of Theo dark chocolate and topped with salted caramel and toffee nibs, is a rich, sophisticated choice. Looking to indulge a little more? You can’t go wrong with the peanut butter fudge- and ganache-filled Peanut Butter Cup. 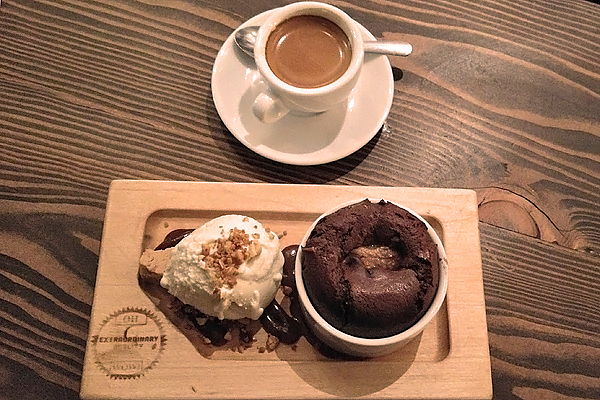 This is definitely the most luxurious molten chocolate cake we’ve ever tried. 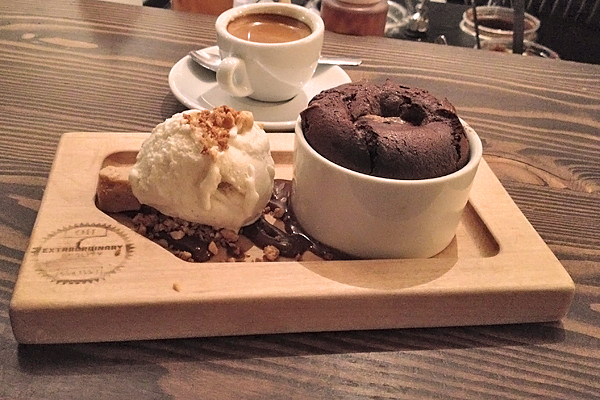 Accompanied by a generous scoop of vanilla ice cream, this is the perfect sweet ending to your Seattle evening. 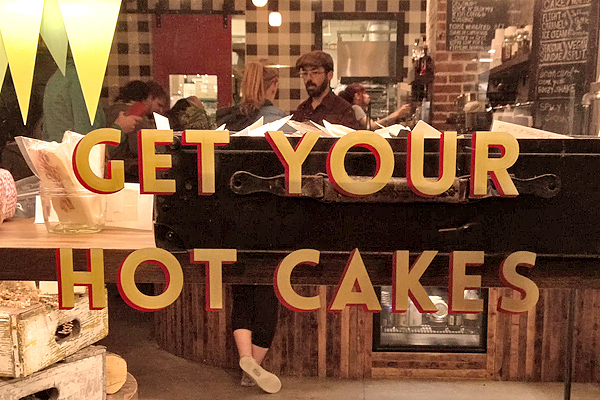 Hot Cakes gluten-free and dairy-free options are clearly marked on the bakery’s chalkboard menu. You’ll need to avoid the vegan hot cake and several of the other baked goods if you’re eating gluten-free. But the richest menu options? Gluten-free and delicious. All of these cakes are best shared with your favorite dining companion, so take a date and enjoy! Where? Hot Cakes is located in Seattle’s Ballard neighborhood: 5427 Ballard Ave NW, Seattle, WA (206-420-3431).